The Northern Irishman pens an 18 month contract with the Dingwall side. Ivan Sproule has signed an 18 month deal with Ross County after leaving Hibernian on a free transfer. The Northern Irish winger has found first team chances limited this season as Pat Fenlon's men embarked on a run of good form. Sproule, who was in his second spell at Easter Road, joins up with Derek Adams men after a total 88 appearances for Hibs, scoring 22 times. The 31-year-old has yet to find the net this season, having made just one start and ten substitute appearances. 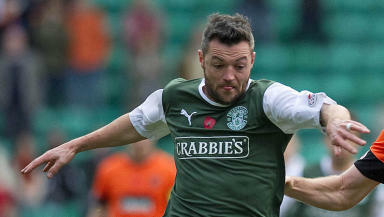 After joining Hibs from Institute in 2005, he left for Bristol City two years later. In his four years at Ashton Gate he was loaned out to Yeovil and Notts County before coming full circle and returning to Hibs in 2011.